Continuing to put a contemporary spin on Halloween’s most classic monsters, we present DJ Bride O’ Stein, the record spinning disc jockey of our upcoming Halloween Rap. We built her a graveyard complete with tombstone amps and cold slabs of concrete to remix upon. 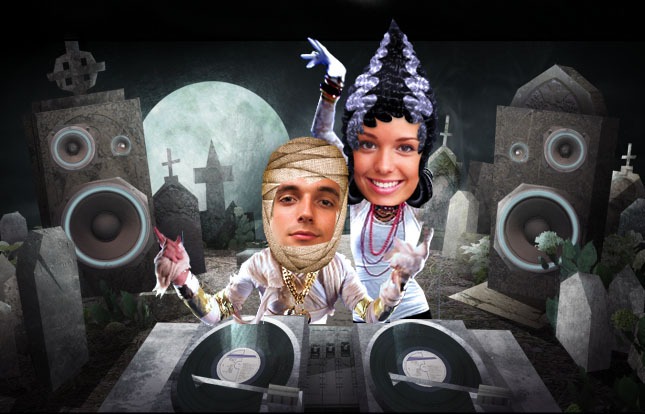 Together with the Mummy, they are two of five hip hop Halloween characters in our rap due next week! This entry was written by paulhanges and posted on September 24, 2010 at 1:35 pm and filed under Halloween. Bookmark the permalink. Follow any comments here with the RSS feed for this post. Trackbacks are closed, but you can post a comment. Is that lindsey lohan’s girlfriend Sam? I can’t wait to start seeing all the NEW video “starring you” creations you’ll be coming out with! I have used up all the things you already have on site…need NEW things!! 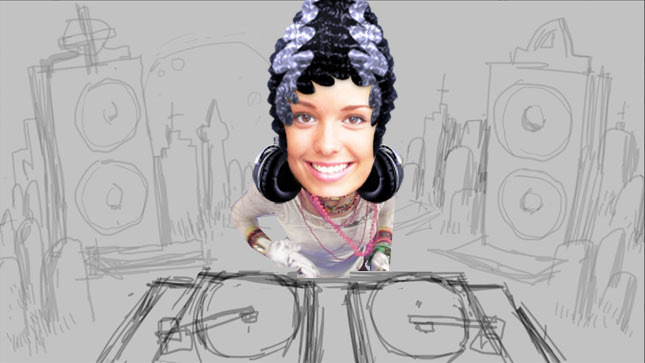 I am having such fun with JibJab!! Best $12 spent!